A few weeks ago, I stumbled across an article about 18-year-old Ruti Olajugbagbe and learned three great coaching lessons. 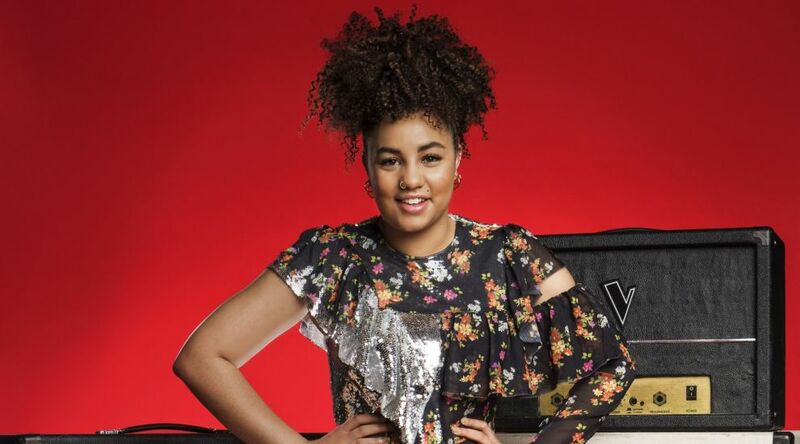 Ruti is the 2018 winner of The Voice UK Season 7. The show is a multi-week talent contest in which celebrities partner with contestants in an effort to be named the season’s best singer. The competition starts with an audition process leading to each celebrity judge selecting one competitor to partner with based on a blind audition. Each celebrity-competitor partnership works through a series of weekly performances, culminating with naming the overall winner. In Ruti’s situation, she was selected by legendary artist Tom Jones (Sir Tom Jones to folks in the UK where he was knighted by Queen Elizabeth in 2006). Sir Tom’s career spans nearly 55 years beginning with his winning the 1966 Grammy Award for Best New Artist. Throughout the course of his career, Sir Tom has sold over 100 million records and posted 19 Top 40 hits in the United States, 36 in the United Kingdom, and chart topping songs in numerous countries around the world. Upon reading the article of Ruti’s recent win, I spent some time learning more about the Jones-Olajugbabe partnership. I then reflected on the coaching that my colleagues and I do in our client work. Ultimately, I came to three lessons that were present in the Jones-Olajugbabe coaching relationship that will likely help us in forming successful partnerships of our own. Here is a brief explanation of each lesson and questions for you to consider about why to coach others and the need to be coached yourself. Sir Tom initially ‘heard’ Ruti’s potential. He sat and listened to her blind audition and selected her as his partner in the contest. In the coming weeks, Ruti and Tom partnered in a coaching relationship leading to her winning the competition. Are you open to seeing the potential of those around you? When was the last time you paused and invested time in helping someone see the potential in herself? When was the last time that someone spoke to you and your potential? How did it feel? What did that person’s words spur you on to do? What might you do now (today) to speak to someone’s potential? Sir Tom wasn’t a distant partner to Ruti. Yes, he was her cheerleader from the sideline at times, but he also came along side her as a true partner in the process. The two performed a duet of the song, What a Wonderful World. It was one of the greatest moments of the competition to both of them and has been watched millions of times on the internet. When was the last time you came alongside someone to help him grow and develop? How did that partnership go? What resulted from the effort? Are you openi to have someone partner with you to help you grow and develop? What opportunities exist (right now) to partner with someone? To be a successful coach, one must be a great cheerleader. Tom Jones gets this. In fact, much of his joy comes from watching Ruti succeed. World News reports that when Ruti won, Sir Tom was speechless. Let’s face it. 50+ years of stage and screen performance does not generate a person who lacks the ability to talk. Jones was speechless because of how thrilled he was for Ruti. He celebrated in her success and was genuinely speechless by the outcome. Shortly after the show aired, the two appeared on a talk show to discuss the show and their relationship. It is clear in the interview on Lorraine, that Tom was not only Ruti’s cheerleader on the tv show, but that he is willing to step-up in the future if he can be of any help to her. How comfortable are you to stand to the side and celebrate someone else’s victory? Do you make yourself available to others as a valuable part of their networks? When was the last time someone reached out to you for support? How did you respond? What might you do different next time? Who might you want to gain support from right now to help you deal with a challenge you currently face?